The baby special is here! 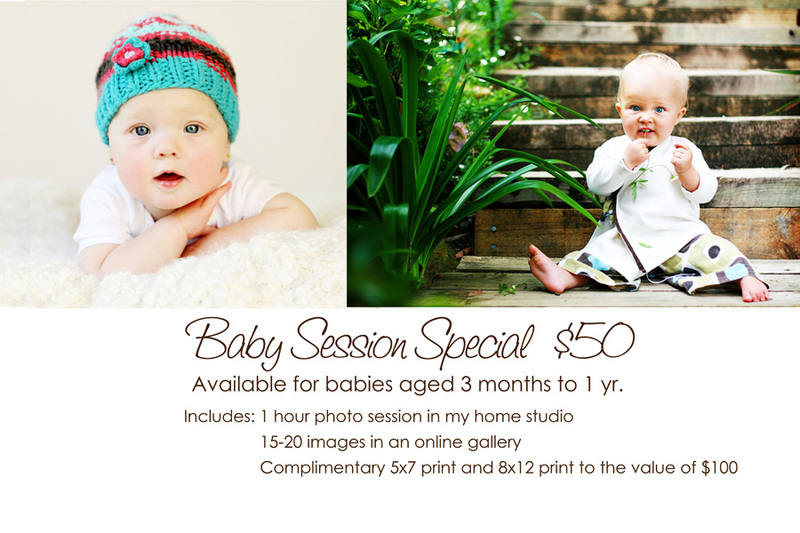 Just $50 for a 1hr session in my home studio with a complimentary 5×7 and 8×12 print. This is for babies aged 3 months to 1 year. Session to be held in my home studio or if you prefer a location of your choice (travel fee of $50 will apply). Please contact me here to schedule your session. Please note: No other prints and products are included in this offer, they are available for purchase separately.